I found this useful command in Microsoft Windows in order to copy DOS prompt command output to a notepad/wordpad without going through “Edit – Mark – Paste” process. This works perfectly in Windows 7 & may not work with older operating systems like XP. But you can work it out how to do this on all those platforms by referring to below post. You can do this by simply typing “ | clip ” after your command. 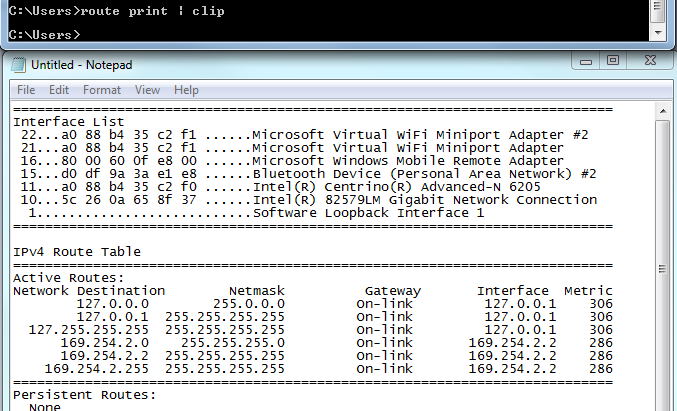 For example if you want to copy “ipconfig” output to notepad then type “ipconfig | clip” & then open a notepad window & simply paste (or Ctrl+V). Sometime these sorts of small things save your valuable time. This may be a useful way save sometime in your CCIEW lab exam as well.